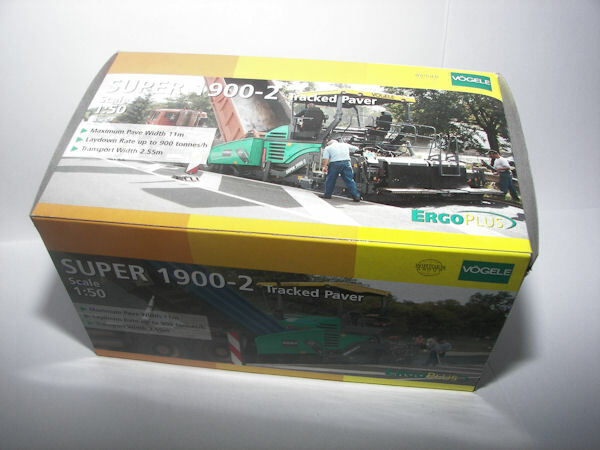 The scale model of the Vögele Super 1900-2 paver is made by NZG. The model comes in a cardboard box printed with photos. The model itself is firmly packed in a styrofoam inner box. 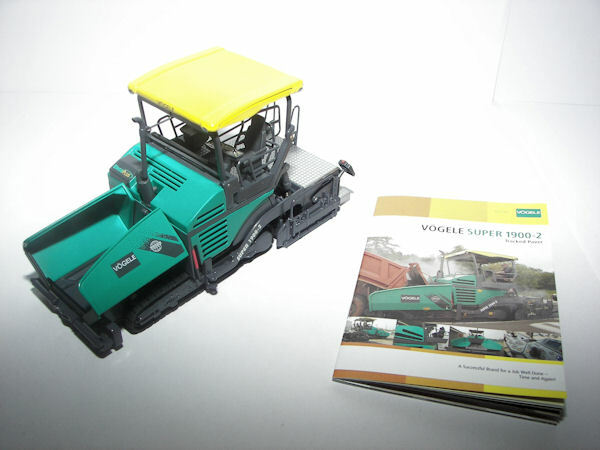 Apart from the model the package also contains a small booklet with detail pictures and specifications of the machine. 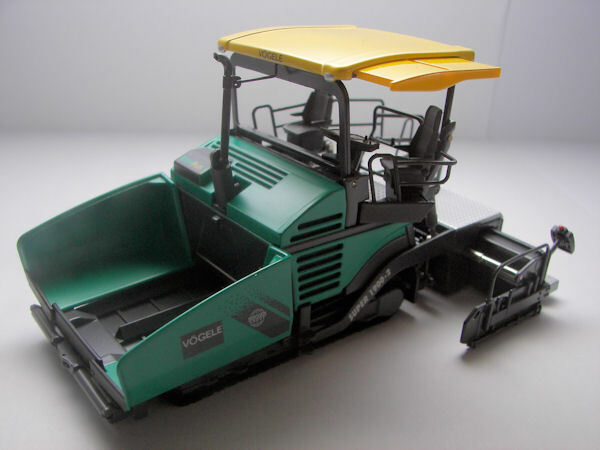 The model shows excellent details and is faithfully reproduced. 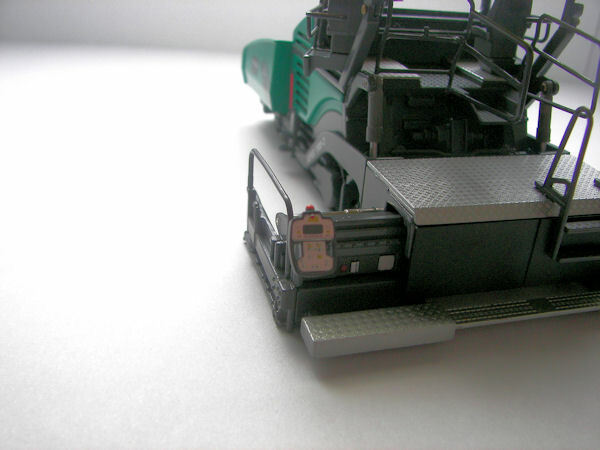 The model features metal railings and realistic diamond pattern plating on the screed. 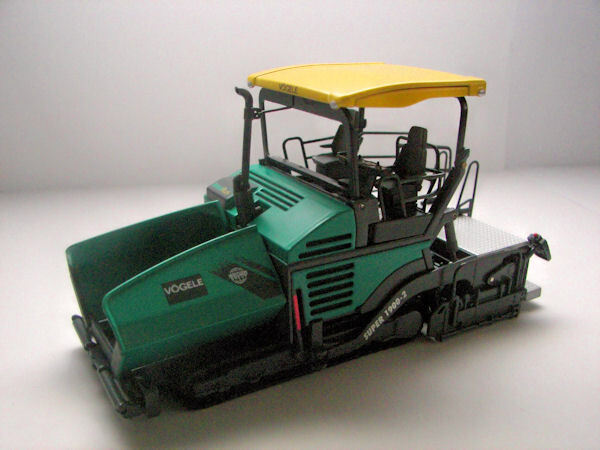 On both sides of the model the operators seat can swing out to the sides for a better view on the job. Also the hardtop can be extended on both sides. 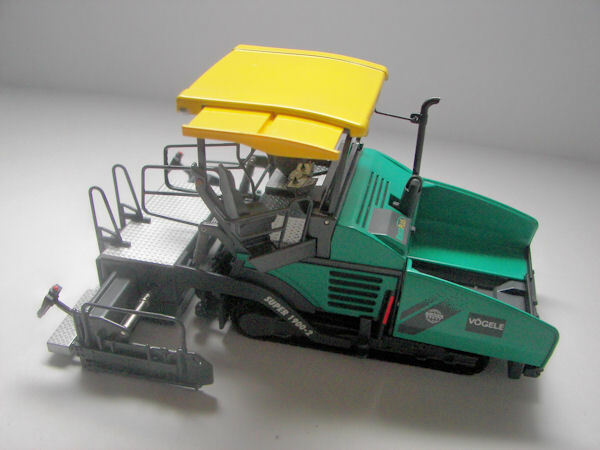 The screed can be extended on both sides of the machine for a bigger working width. Nice detail is the walkway on the back which extends along with the screed. Obviously lots of attention went into the Vögele ErgoPlus controls. The consoles on both ends of the screed are printed with lots of detail. All controls and the LCD display are visible on the model. Also the operator console is well detailled. Alle buttons and joysticks are reproduced and finished in the original colours. 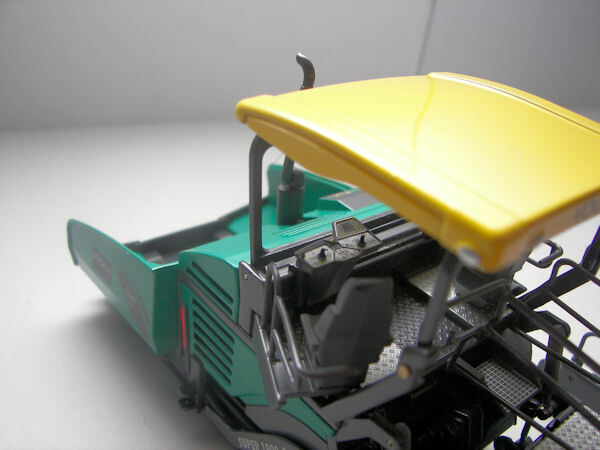 Without any doubt, the best detail is the construction of the hardtop. As mentioned above, it can be extended on both sides to protect the operator from the weather. Furthermore all working lights and the brandname are printed on the hardtop very crisp. The best feature however is the functional folding construction, which folds both the roof as the muffler in its transport position. NZG has scaled down the Super 1900-2 very realistic, making the model very suitable for use in a diorama. 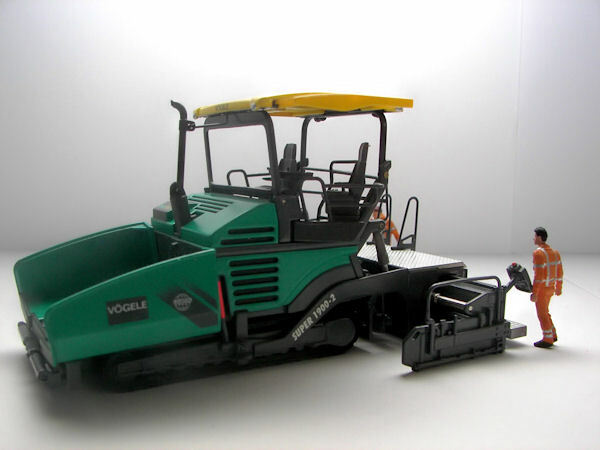 For road builders, this scale model is an absolute must-have.